In this life-changing book Blake D Bauer explains why depression, addiction, physical illness, unfulfilling work and relationship problems are caused by years of hiding your true emotions, denying your life purpose and living in fear. 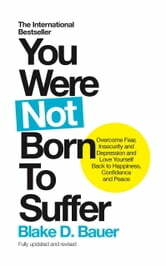 Having already helped thousands of people around the world find lasting solutions that conventional medicine, psychiatry or religion couldn't offer, You Were Not Born to Suffer will show you how to free yourself from the destructive thoughts, habits and situations that are stopping you from being happy and well. In simple practical steps you'll learn how to slow down and create a healthier relationship to yourself that is based on acceptance, kindness, honesty and self-worth. You'll also find out how to transform the stress, anxiety and insecurity that result from constantly trying to please others into lasting confidence, self-respect and inner peace. 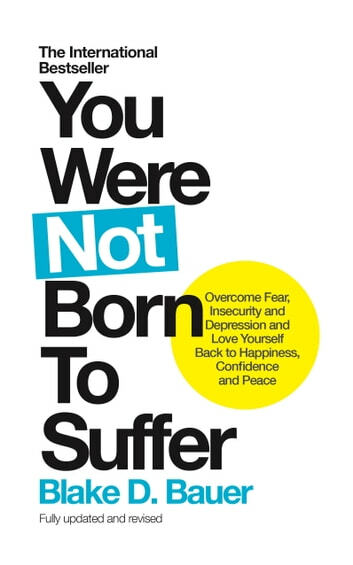 Whether it's negative thinking, financial worry, loneliness, guilt or self-doubt that's holding you back, Blake Bauer's words will move you to take better care of yourself, heal old pain and courageously move forward. If you're ready to enjoy your life, feel passionate about your work and create fulfilling relationships, this book will support you to live authentically, love wholeheartedly and finally value yourself enough to put everyday health and happiness at the centre of your life.